Canoe Ridge Creations: mail time. insert blues clues mail time song. Do you all know that song? Maybe I have just spent too many summers nannying, but every time I get the mail that little song pops into my head. Now that I have jumped into the online blogging and swap community, mail time has become one of my favorite things. Like yesterday when I received my FQs from the Gen X Kona Your World Swap. I am pretty sure Grass Green just became my new favorite. Oh, and my order from The Fat Quarter Shop also arrived a few days ago. 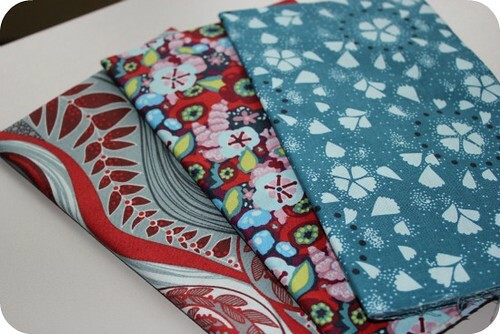 I decided purchase some half yards of Innocent Crush by Anna Maria Horner for my Make Mine Modern Swap partner. I really hope she likes them, because after seeing the fabric in person I think I am going to have to get some for my stash. They are just so yummy! 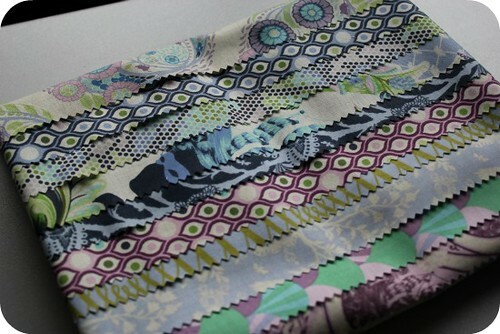 I went with this fat quarter bundle of Parisville by Tula Pink. mail time has become one of my favorite things! Oh grass green is totally my fav. Kona... ok well other than coal and ash... hehe. :) Grass green is my fav. color color. :) Looks like a spectacular mail day. That dark blue Innocent Crush is my fav. of that line. Beautiful! Yep, that song is in my head now too! Grass green is a great one. I love mail time. And I said the same thing about swapping. 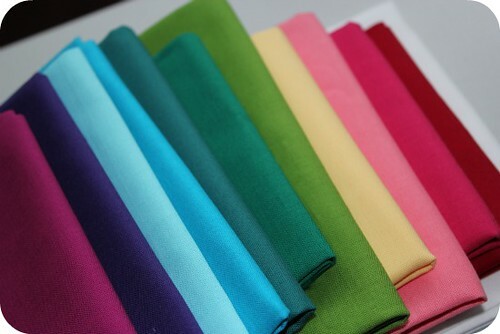 you can't just buy fabric for your partner, you've got to justify the shipping right! ?